With today’s busy lifestyles, the best way to ensure a healthy lawn is to install a sprinkler and irrigation system. Whether for your home or business, sprinkler systems keep your property effortlessly beautiful. Saves time: You won’t have to pull hoses around the yard or remember to move them every twenty minutes. Maintains a healthy lawn: Having a nice sprinkler system gives your lawn the treatment it needs to get through those dry days between rainfalls. It also protects your investment in your lawn. 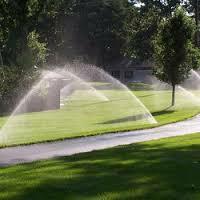 We have the expertise and skills to work with all irrigation systems, including Hunter, Rainbird and Toro. Contact us today to see how we can help you! 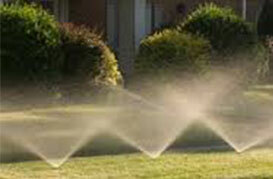 At Lakes Landscape Services, we provide all the services you need to maintain your sprinkler system, including repairs. Starting up your sprinkler properly includes making sure that the sprinkler heads are working and your system is running correctly. 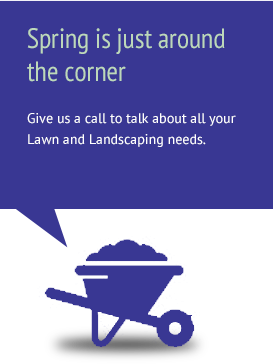 Our spring sprinkler start-ups make sure that you’ll be up and running after a harsh winter. Click here to learn more. In Minnesota, our winter temps bring frost levels that extend below the level of your installed irrigation pipes, so it’s very important to get water out of your system before the winter. Lakes Landscaping expertly winterizes your sprinkler system with sprinkler blow-outs, ensuring that it can perform at optimal levels for many years. Click here to learn more. At Lakes Landscape, we offer sprinkler system maintenance service such as sprinkler system start ups, sprinkler system repair, and sprinkler system blow-outs and winterizing. Click here to learn more.